This e-book provides instruction in numerical methods as they are applied to problems chemical engineers solve. If you wish to program the computer yourself, this e-book gives you details and sample programs to do so. The e-book isn't finished, but it contains over 200 web pages of information. The e-book is provided free, and the author welcomes suggestions and corrections. If you don't want to program the methods yourself, the author has written a book published by John Wiley, 2nd ed. 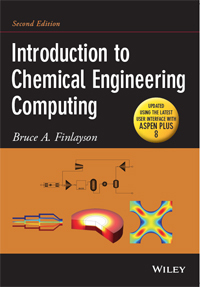 in 2012: Introduction to Chemical Engineering Computing. This book shows how to use the computer programs: Microsoft Excel, MATLAB, Aspen Plus, and Comsol Multiphysics to solve chemical engineering problems. If you would like to see what is included,check out the pdf file. The book has now been revised (May, 2014) to be consistent with Aspen Plus 8. The book does not go into detail about the methods used by these programs, just how to use them effectively to solve problems. Generic detail about the methods is provided in this website for use by the public. It is also available in an older book by the author, reprinted: Nonlinear Analysis in Chemical Engineering. 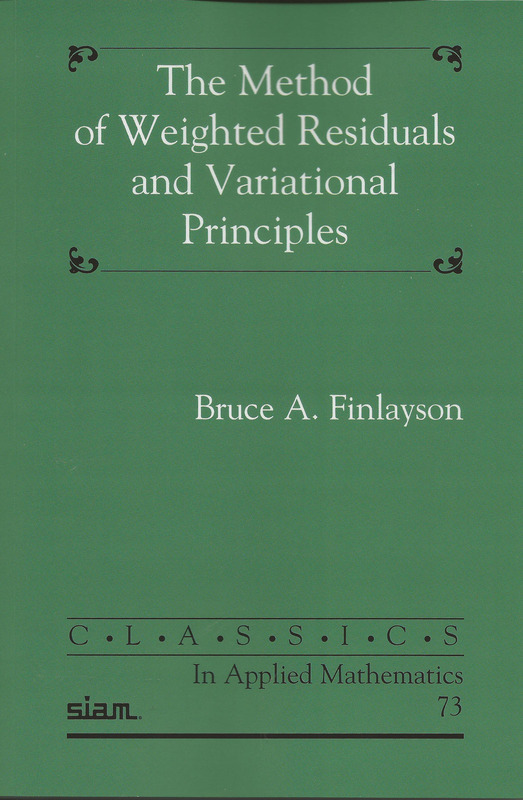 For those more mathematically inclinded, error bounds and variational principles are desribed in Method of Weighted Residuals and Variational Principles, published in 1972 and republished as a SIAM Classic in 2014. New problems are available on the website.